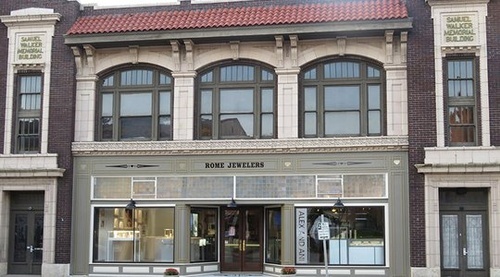 Rome Jewelers is Wilmington and Hillsboro's Hometown Jewelry Store. We are focused on satisfying all of our customers shopping and repair needs! At Rome Jewelers we offer Fine Jewelry, Bridal (Natalie Kay), Estate Jewelry, Sterling Silver, PANDORA, Elle, Kameleon, Debbie Brooks, Watches (Citizen), Clocks, and Engraveable Items! We can engrave items and also repair jewelry/watches/clocks. Come on in and see our wide variety of jewelry and all the services we have to offer!